Here you’ll find links to sites that post many women’s abortion stories. Share your story with the National Abortion Federation. At I Am Dr Tiller you will find stories of individuals who have dedicated their lives to making abortion safe, legal, healthy, and accessible to women and girls. These people may be nurses, counselors, escorts, volunteers at abortion funds, or abortion doctors themselves. NARAL Pro-choice America Read everyday stories from people who share their personal experiences and feelings about the right to choose. Choice Out Loud will share and solicit personal stories and experiences of choice. They will begin a different type of conversation on abortion. One that is led by millennial women and men born after 1980. One that is less about politics, and more about people. Medical versus Surgical Abortion information. Concerned about the safety and legitimacy of abortion? Check out the Safe Abortion Project, dedicated to showcasing the safe abortion care that every woman deserves. National Abortion Federation Hotline Fund is a toll-free hotline offering reliable information about abortion, referrals to abortion providers, and limited financial assistance to those whole qualify. Call the Hotline 7 days a week at 1-800-772-9100. Need Financial Assistance? The National Network of Abortion Funds (Fund Abortion NOW) is an association of 48 grassroots abortion funds across the U.S. helping women with limited financial resources get assistance. Or call us at FCHC maybe we can help. Schedule an appointment with one of our trained counselors. They will listen to you and provide you with helpful information to help you making the decision about abortion or not. In May 2015, the Virginia Attorney General advised the state board of health that new restrictive regulations don’t apply to existing clinics. 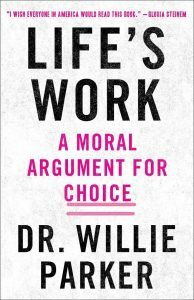 Catch it here — if you missed Trevor Noah from The Daily Show interview with Dr. Willie Parker a board-certified obstetrician and gynecologist, and published author of Life’s Work: A Moral Argument for Choice book. Dr. Willie Parker’s decision to provide abortions represented a change of heart on his part. He had been working for 12 years as an obstetrician and gynecologist, and had never performed abortions because he felt they were morally wrong. But he grew increasingly uncomfortable turning away women who needed help. About Dr. Parker’s’ book – Life’s Work: A Moral Argument for Choice, an outspoken, Christian reproductive justice advocate and abortion provider (one of the few doctors to provide such services to women in Mississippi and Alabama) pulls from his personal and professional journeys as well as the scientific training he received as a doctor to reveal how he came to believe, unequivocally, that helping women in need, without judgment, is precisely the Christian thing to do.